Cricket. It is considered the second-most popular sport in the world, with more than 2 million fans worldwide. 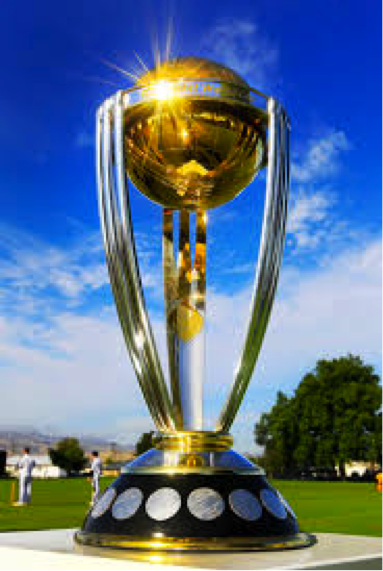 Fourteen of the most successful cricket teams from different nations are battling it out for cricket glory right now in Australia and New Zealand, the host countries of the ICC Cricket World Cup. The teams are divided into two groups, Pool A and Pool B, with both host nation teams in Pool A. Defending champion India is trying to fend off Australia, which is attempting to win its fifth title. New Zealand has the best record so far in Pool A, 6-0, but in Pool B, defending champs, India, has a record of 5-0. Not to far from them are Sri Lanka and South Africa, each with a 4-2 record. Still in it, close behind the leaders, are Australia and Bangladesh in Pool A and in Pool B, Pakistan and Ireland. Not doing so well are United Arab Emirates and Scotland, each with a record of 0-5. Every game counts and with the finals near, every run counts. Which team will come out with the trophy in their hands after the March 29? Tune in and follow the end of the tournament!